DocuSign has announced a “deep integration” with zipLogix Inc. that will allow users of its digital transaction management platform to fill out real estate forms digitally using the form-filling technology zipForm sometime next month. The new integration will allow users in markets where zipLogix has license agreements for digital real estate forms, like California, to utilize the most important features of DocuSign’s transaction management platform, “DocuSign Transaction Rooms” — filling out real estate forms digitally. Users will have to have both DocuSign and zipForm accounts to edit forms within DocuSign using zipForm. Access to real estate forms is a big deal for real estate tech vendors, including makers of transaction management platforms like DocuSign, dotloop and Instanet Solutions, whose offerings really shine when real estate pros can use their platforms to fill those forms out. ZipLogix currently licenses forms from over 280 associations and brokers including locations where it has exclusive licenses like California. (See a full list of zipLogix’ form libraries here.) Unless a tech vendor has a license from the owner of the forms, they can’t be edited within its platform. Last summer, dotloop CEO Austin Allison expressed frustration that dotloop’s users were prohibited from using the firm’s technology to fill out CAR’s electronic real estate forms because CAR maintains an exclusive license with zipLogix. A real estate pro who has accounts for both platforms has to link them just once. Then they can send forms from zipForm to DocuSign to edit. Regardless of where users edit forms, within zipForm proper or within DocuSign, the edits are consistent for both. 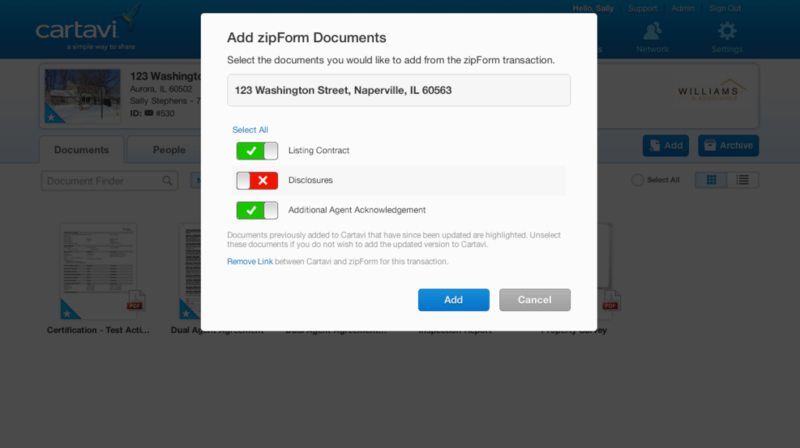 Screen shot of a real estate form being edited in DocuSign using zipForm technology. The coming zipForm integration represents a deepening of a partnership between DocuSign and zipLogix that began in 2012 when zipForm users gained the ability to send forms out for signature using DocuSign. 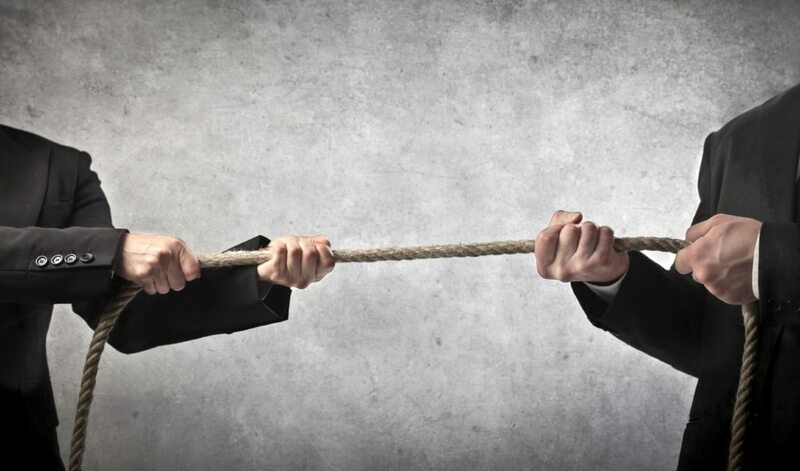 The relationship got tighter last October when DocuSign users gained the ability to move completed forms directly from zipForm to the platform. The two firms also share a tight relationship with the National Association of Realtors, which has an ownership stake in both. ZipLogix is a joint venture between NAR and California Association of Realtors subsidiary Real Estate Business Services Inc. (REBS). As of the end of 2013, NAR owned an approximate 30 percent interest in zipLogix, carrying a value of $4 million. In 2009, NAR took a 5.43 percent stake in DocuSign with a $2 million investment via its subsidiary Second Century Ventures. DocuSign started out focused on electronic signatures, but with the acquisition of transaction management platform Cartavi in May 2013 and the completion of a $85 million funding round in March, it has shifted its focus on building out its digital transaction management business. ZipLogix has opened up its platform this year to tech vendors in ways it hasn’t before. 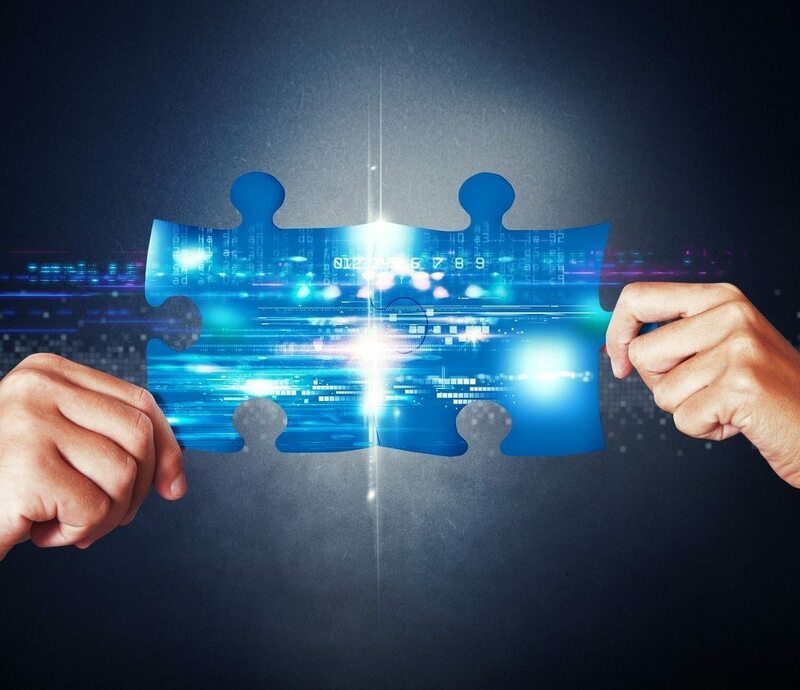 “We are excited about the prospect of seamless integration into to a variety of products to add value to the professional lives of agents everywhere,” said Walt McDonald, chairman of zipLogix, in a statement in May announcing an integration with digital offer platform NuOffer. An integration of NuOffer into zipForm, announced in May. A promotion of RealBiz Media Group Inc.’s video-centric listing site and agent directory NestBuilder via zipLogix’ “Marketing Services Program” in May. A seamless integration with paperless transaction management platform BackAgent in July. An integration of NAR-backed address-change Web app Updater within zipForm in July. An integration with a tax reporting application, Deductr, in August, one of the members of NAR’s tech accelerator, REach. In addition to the coming zipForm integration, Shimkus says DocuSign has also rolled out a single-sign-on feature to the brokerage edition of its transaction management platform it launched in February.